PORTLAND, Maine – FedEx, notorious for misclassifying its drivers as “independent contractors” – barring them from labor law protection and avoiding paying Social Security, Medicare and workers’ comp taxes, lost another misclassification case, in Maine. On Mar. 14, a federal judge in Portland approved a settlement saying FedEx Ground misclassified 141 drivers. The drivers will net $3.9 million in back pay and damages. 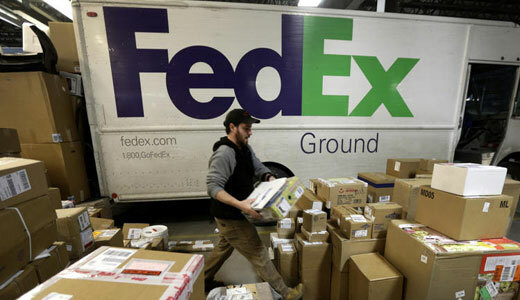 That follows previous FedEx losses and settlements of misclassification claims in Illinois, Massachusetts, California, Montana, and elsewhere. Another case is pending in Missouri. If the case had gone to trial and the firm lost, it could have been hit with a $10 million-plus cost. “The proposed settlement…is clearly a compromise that discounts to some degree the drivers’ total claims” but is a “fair trade-off for the uncertainties of trial and appeal and a prolonged delay in receiving any money,” the court said. The Teamsters have tried for years to organize FedEx drivers and also lead the anti-misclassification drive. Lawyers reporting the Maine case did not say if the union is involved.